Brand New Padded Ring Binder album suitable for storing and displaying our range of 3 Hole Coin protective pages and Encap capsule holder sheets. 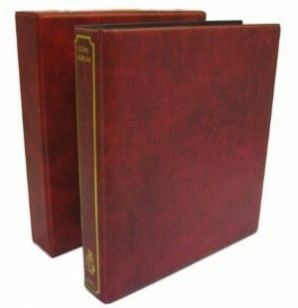 Supplied with matching slipcase box. Available in three colours - RED, BLACK & BLUE (Check box below for colour required before adding to cart).